Transformational coach, motivational speaker, Author, Founder of URAWARRIOR.COM and two time breast cancer survivor, Bershan has dedicated her life to helping others discover their inner warrior during life’s most difficult journeys. Diagnosed with breast cancer in 2007, and it returning stage 4 in 2009, Bershan beat the odds with stage four breast cancer and Bershan is now seven years cancer free. 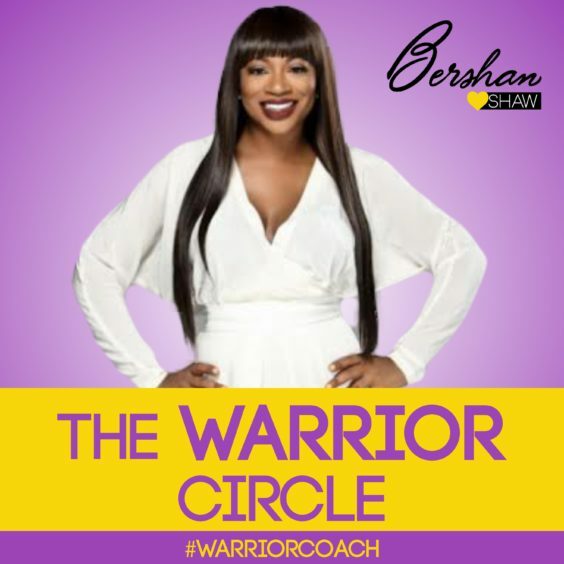 Bershan helps individuals find their inner warrior through her dynamic relationship & career coaching & leadership coaching. Bershan specializes in her self love work because she truly believes that without truly loving yourself you will never be great in your career, relationship, health or family. Her sweet spot is leaders, CEO’s, entrepreneurs, women and anyone who feels lost or stuck and needs to reinvent their life. Bershan believes that beauty rises up from the ashes of pain and suffering, and wants to help others see possibility when all they see is pain and defeat. Her one on one coaching with business executives, leaders , entrepreneurs and men and women have given her the most satisfaction because everyday she sees how she has changed someone’s life. She has written a book, “URAWARRIOR 365 Ways to Challenge You to a Better Life” to assist others on their journey toward healing and health. Bershan is in very high demand and has shared her messages with countless audiences worldwide through leadership conferences, businesses, institutions, wellness conferences, empowerment stages and more. She has spoken worldwide in places like Poland, Ghana, Rome, London and more to help leaders, women, CEO’s and everyday people “Find their inner Warrior to Step into their Greatness.” Bershan was also part of the “Love and the City” cast, a docu-series on the OWN network.